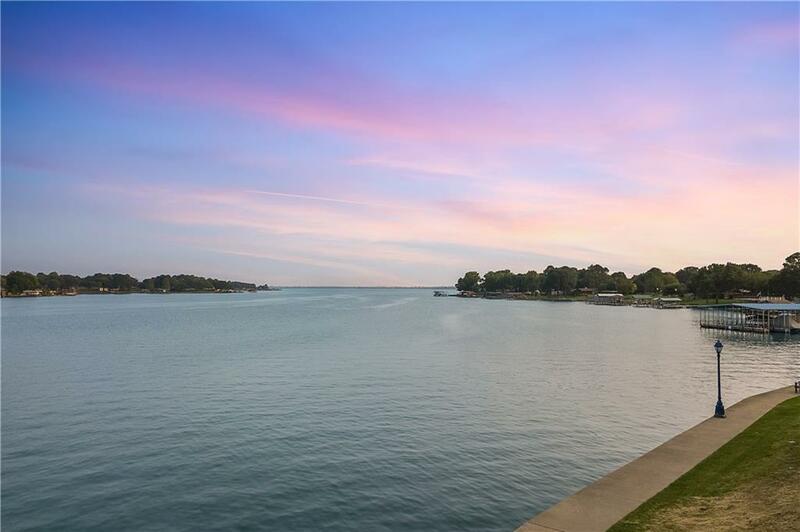 The is the best waterfront lot still available in the Harbor Light Villas. It offers unobstructed open water views and direct access to the lighted common walkway which leads to the covered floating boat slips. 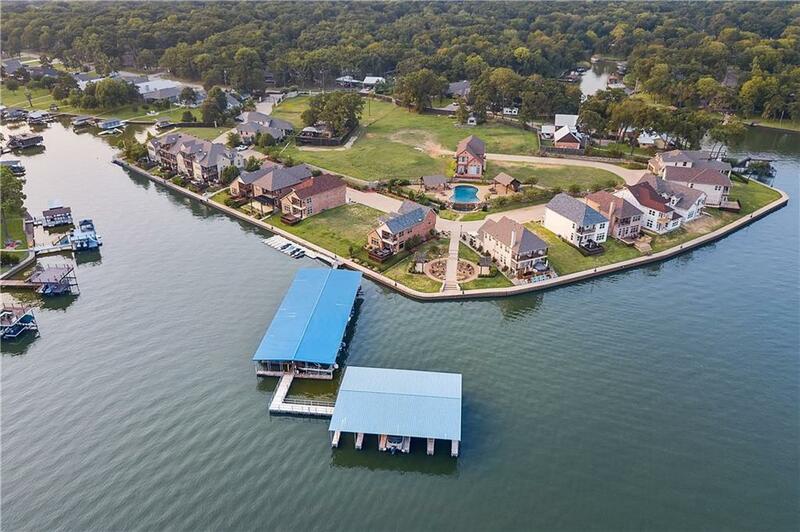 Harbor Light Villas is one of the premier gated waterfront communities on Cedar Creek Lake. This 7-acre community offers a secure Lock n Leave lifestyle with practically no maintenance, access to the communitys infinity edge salt water swimming pool and cabaa, marina with floating boat slips and a quarter-mile lighted waterfront walkway. 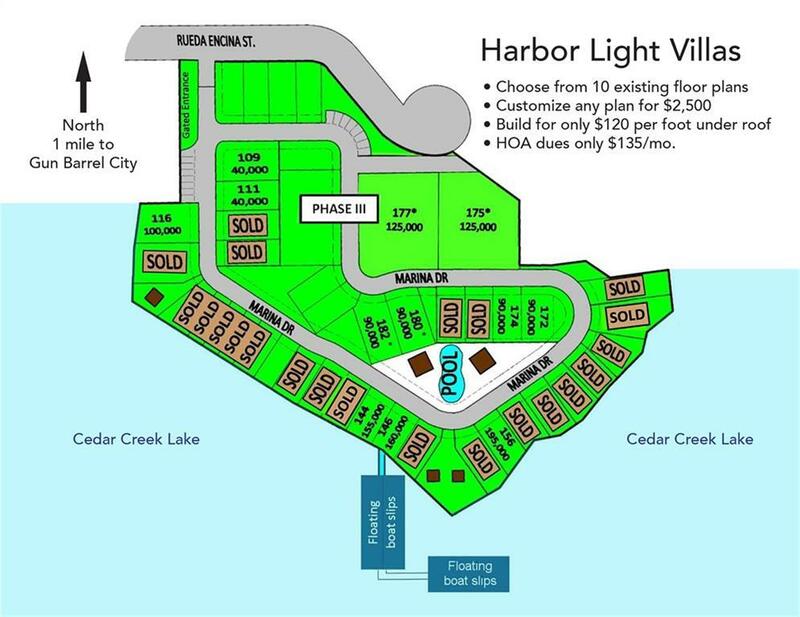 Harbor Light Villas are conveniently located just 1 mile south of Main Street in Gun Barrel City close to retail shopping and restaurants.